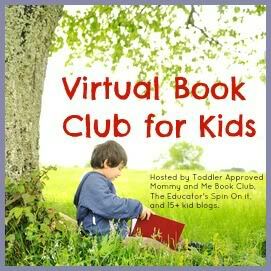 Virtual Book Club for Kids is a fun way for us to learn about new books and authors each month with our children! Each month we share book-related crafts and activities based on the book we choose to spotlight. The author we’ve selected for January is…. 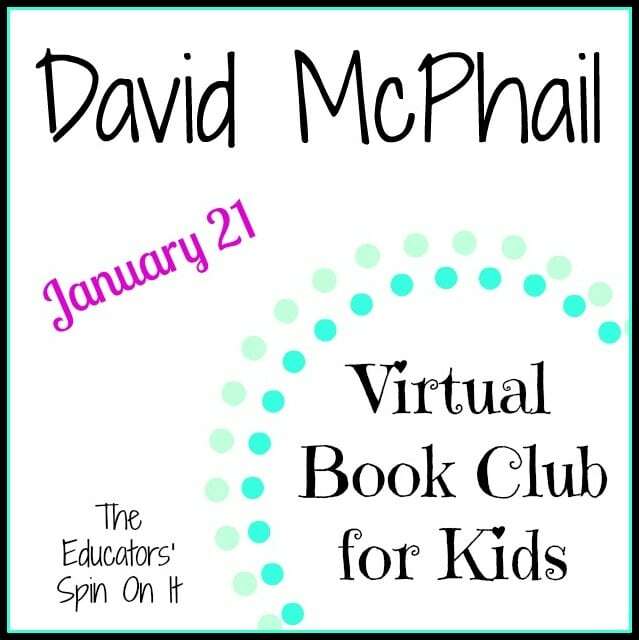 Have you read any books by David McPhail? If so, which one is your favorite? We’re took at trip to the library and checked out quite a few plus we had a few at home that are already our favorites which we can’t wait to share with you on January 21. Here’s are some of our picks that we’d suggest. He even had a few books that are great for beginning readers that you might want to check out! Share what you did with us starting Monday, January 21st! We will have a linky up for 3 weeks where you can share any blog posts (if you are a blogger) or you can post what you did at the end of the linky post in the comments or on our Facebook wall. We love reading all the the posts each month, pinning them, and seeing all of the creative things that people come up with. Discovering new great books is the best! For more updates and to see posts by participating bloggers, head on over and “Like” our Virtual Book Club for Kids Facebook page or follow our Virtual Book Club for Kids Pinterest Board. 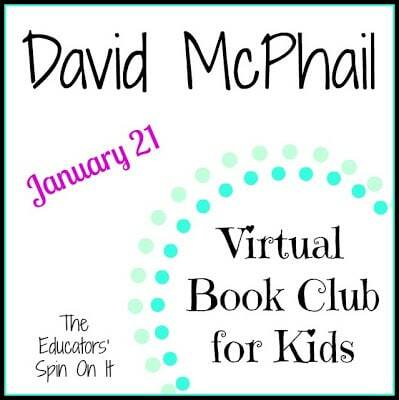 Until then….Here are a few resources to get to know David McPhail a little bit better. Just got our book at the library on Saturday. Today we are working on a literacy activity to go with it. Can't wait to share next week! Can't wait to see what you come up with! So glad you hosting again this month! We're participating! Already read Drawing Lessons from a Bear and did our activity. Just have to write up the blog!